It might be the smallest room in the house, but the bathroom is also one of the most important spaces in your home. So whether you're after sleek lines or sumptuous curves, clean whites or striking colours, we've got an array of bathrooms to suit all tastes. If you are still in the planning stages of a new bathroom renovation then don't miss the opportunity to speak to experts in the field, and discover the latest innovations in bathroom design. There will be plenty of exhibitors ready to assist you on your bathroom purchases, from designer ranges to more practical solutions. In Grand Bathrooms, you can see the latest trends and discover new ideas that could give your bathroom an extra little finishing touch. Our homes are getting smaller and small apartments, bedsits and house shares are becoming an increasingly popular choice for first time buyers. We’re here to show you that size doesn’t matter as much as you might think – especially when it comes to bathrooms. We’ve come up with 5 ideas to inspire you to make the most out of your small bathroom. 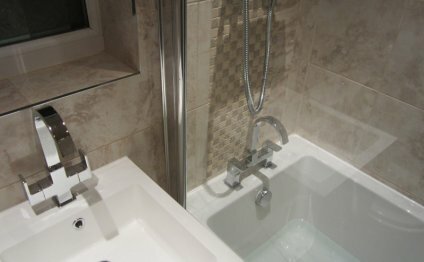 At Pebble Grey, we believe your bathroom should be your sanctuary, a place to relax and unwind. We’re uncovering secrets of the trade so you can Do It Yourself. Click here to read our blog. See us at Stand K9. At BathEmpire, we are continuously aiming to develop our ranges of well-crafted bathroom fittings that complement the latest trends and styles but are still versatile for family use. In the next few months, we will be launching our ten new striking LED mirror ranges and also have just recently launched our brand new Cambridge Traditional Cabinet to give your bathroom a look of elegance and grace. Adding to our extensive range of existing furniture ranges, we will be displaying a wide range of finishes and sizes to attend to each individual customer’s requirements. No matter what your style, the massive expansion in our range of products means that there will be something to suit everyone’s style, taste, spatial and budgetary requirements. See us at Stand K600. If like 13 million households in the UK you’re fighting a constant battle with limescale in your home, visit stand K10 at this year’s Grand Designs, NEC. The Soft Water Company, experts in water treatment, will be able to give you help and advice and a long-term solution for tackling the dreaded limescale – saving you hours cleaning and leaving your kitchen and bathroom looking like new. The Soft Water Company, a family run business that has been in the water treatment industry for more than 15 years, is all too aware of the damage limescale can do to your home – damage you can and can’t see!